The official WooCommerce iOS App has now been released, and we couldn’t be more pumped up to share the juicy details with you. You can check out our product page, or keep reading for the run-down. 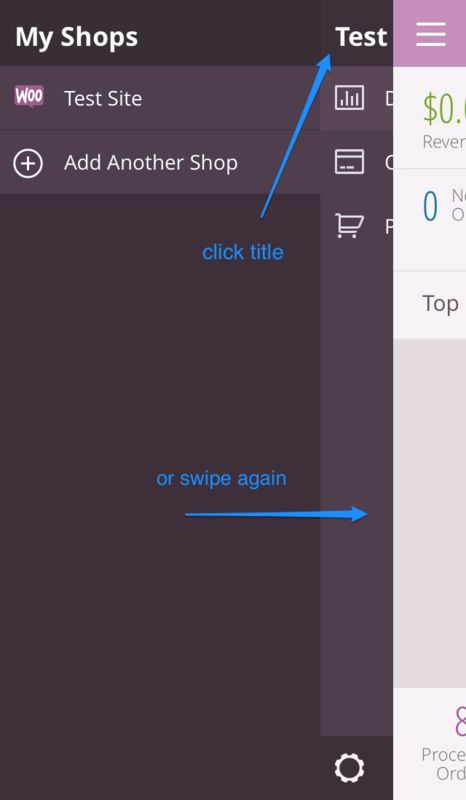 Who is the WooCommerce iOS App for? We’ve partnered with WooCommerce to release the official iOS app for WooCommerce and to continue building the app for complete store management capabilities. The WooCommerce iOS app is meant to make it easier for store owners and managers to stay on top of their store and new orders on-the-go. 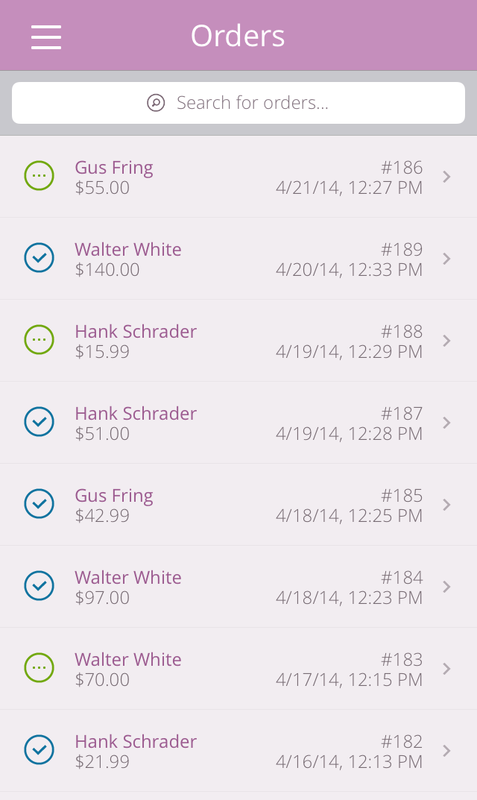 The app lets you stay up-to-date with incoming orders, inventory, and customer information. If you have an iPhone or iPod touch running iOS7 or newer, then this app’s for you! Once you’ve set up your first store, you can entirely manage it or add up to 4 stores to manage from within the app. You can view a Store Dashboard to get an idea of total sales, new orders and customers, and quick-view orders with pending, processing, or on-hold statuses. You can change the dashboard to view today, the past 7 days, or the current month. Each of these will let you see a total list of orders or products, and from here you can view more information about each. You can view product details by tapping a product from the products list instead. This will let you view all general product details, such as pricing, shipping dimensions and classes, and SKUs. You can also tab over to view product inventory to check stock or view product variations. We’re currently working with WooCommerce to add more information to the WooCommerce REST API, which in turn allows us to add more to the iOS app (the app needs the REST API to pull information about your store out of your site). Max is contributing time towards adding the ability to update order information and change order statuses to the API, which will allow us to add the ability to update orders within the app. This is our biggest goal for the moment, as we know how valuable it will be for store owners to update orders from the warehouse or stockroom as they’re being fulfilled. 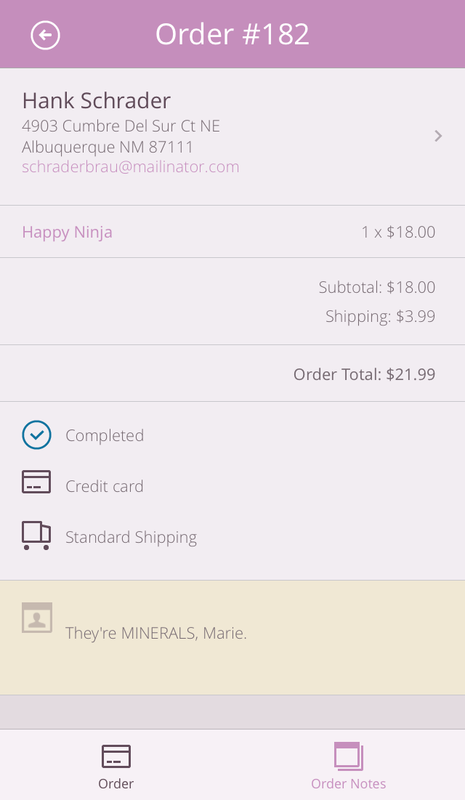 This round of updates may also include push notifications for new orders as well as the ability to view full customer details (you can view basic details and lifetime order value currently). WooCommerce has their team working on the products part of the API. One of our longer-term goals is the ability to create and update products directly from the app so that you can photograph new products as you get them, and add them to your store right from your phone. This isn’t planned in the next scheduled update to WooCommerce iOS, but is something we’re working towards for a future release. Hey Mark, we’d be happy to help out! Can you please fill out this form so that we have the needed details? Thanks! Thanks for the fast reply Beka, I just filled out the form. Why support for only 4 stores? Hey Alex! There’s a bit of a technical implementation here in terms of speed. As you add more stores, the app will slow down and we want to keep performance stable (4 seems to be the happy point where performance is not affected, but more slows the app down). We are trying to find a way to add more stores with the same performance in the future. Out of curiosity, how many stores would you like to be able to add? Congratulations! I will surely get all of my WooCommerce clients interested in this straight away. Murphy’s Law that you announce on Twitter at almost exactly the same time I launched my own WooCommerce product – ProductPrint Pro – but one more good reason (make that TWO more good reasons) why working with WooCommerce has to be the way to go for e-Commerce. Hey Ken, thanks and congrats on your launch as well! 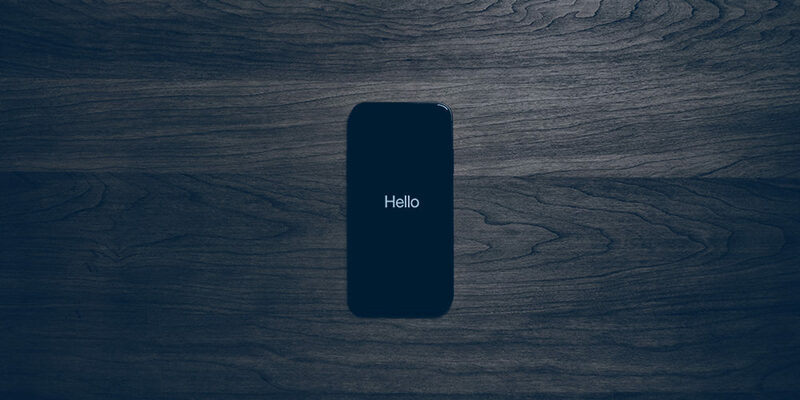 We’re working on iOS / REST API development first, then eventually can make the transition into Android. Development and designing a UX for Android is more difficult, and we work with an awesome iOS dev so it was a natural fit to do that first and use it to drive the REST API forward (which is actually the limiting factor in this entire thing). So short answer: yes, but not in the immediate future. Congratulations on your launch, will need to wait for android app. That app is totally different. 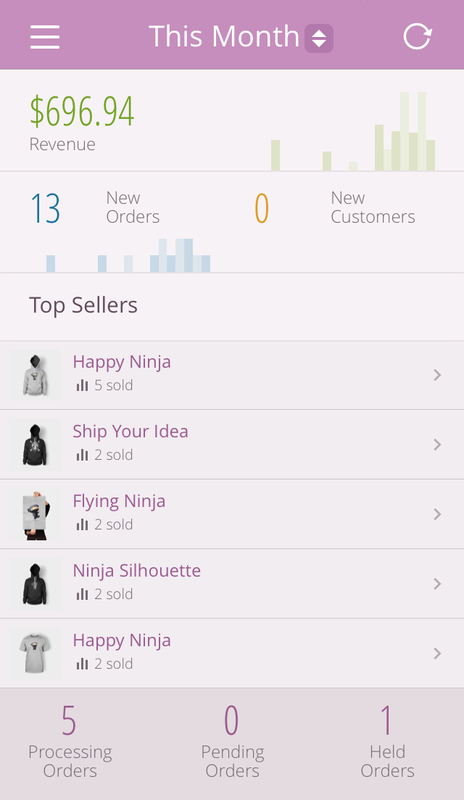 It is a shopping app so that your customers can buy from your shop via the app. Is there way to switch the currency from USD to EUR? We are using euros in our web shop but the currency in the app is in dollars… Thanks! We can’t replicate this ourselves but would love to figure out what’s causing this :). Thanks! Love your new app, and you long term plans (adding products from your iPhone) will make WooCommerce an even greater solution for (even more) users. Thanks a lot for doing this! On short term, I really miss history data for previous months – you can only view graphs for today, 7 days or this month. I don’t know whether it’s a limitation in the REST API, and I’m sure you already have this on your todo list… but being able to easily cycle through previous months with arrow keys and a “year view” would be a great addition to the current views. Hey Matt, thanks so much for the kind words and the great feedback! You bring up a great point about history, and we do have plans to add the custom date range in addition to the options we already have for reporting (which would allow you to view the past year or a range of your choice). I’m not sure if this will be in the next round of updates, as we’re keen to add the ability to update orders and get push notification as fast as possible, but if not it will follow shortly after! Nice app, bright and clear layout. But we are missing the notifications (and other functionality). and your article is from July 14th, when can we expect them? (I have bought the app and can’t wait) Keep up the good work! Hey Rob, thanks so much for your feedback! We’ve got the next version in beta, so we’ll submit this to Apple as soon as we’re done with testing. Unfortunately, we’ve learned that mobile apps take longer with development cycles, as we have to wait a week before updates are released after submitting them. As such, we’ve decided that our testing phases should be as rigorous as possible since we can’t push updates quickly if there’s an issue. I understand that it’s frustrating to see delays in these features, but we’d rather ensure that there are no issues when released. We’ll release the order update functionality first as part of v1.1, as we’re still testing the push notification functionality and tweaking it (which will now be v1.2 to follow soon after). Our testing should wrap up by the end of the month, and we’ll be submitting the next version! And i guess others will be pleased to read this as well. Yep, we’ll be submitting it for review then, and we’ll have an announcement ready as soon as Apple approves it 🙂 (which will take about a week after we submit it). What’s the future of this App look like? I see it has been pulled from the iOS App Store. An error occurred during setup for this shop. Hey Daniel, could you please submit a help request here so the support team can get the info they need to help out? Thanks! when exactly will the next update include push notifications? I’m in the same boat Aaron. My webserver is setup to force everything over SSL, and this causes the iOS App to not work. I have a webstore that uses woocommerce and currently I have some resellers. I would like to ask, are these apps can be used only to view the inventory? I want to use these apps for my resellers so that they could see the stock directly without us should send an email again. Hello, I am very new in woo commerce environment. I am after an option to notify me on my iphone that my item has been just sold. Is it the right app? Thank you. Hey there, we sold the app so I’m not sure if they’ve added push notifications or not yet. I’d keep an eye on it for when push notifications are added if not, which would notify you of orders. will you also be creating an Android App version? I guess Automattic has bought the iOS version.. likely they will buy an Android version as well, hm? When is product editing available?